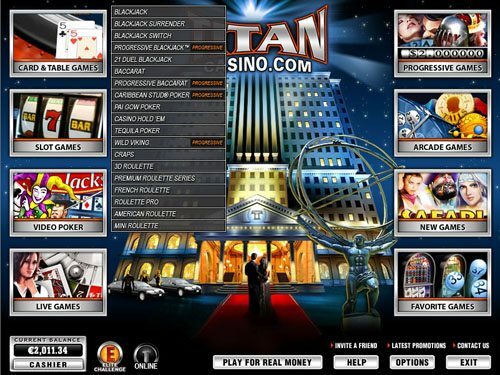 Titan has a strong pedigree when it comes to online gambling. Their poker and sportsbetting services are some of the most popular in the industry, providing countless customers with premiere gaming entertainment. 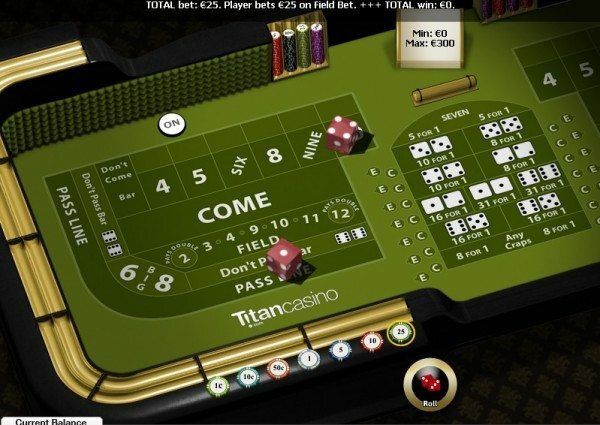 Titan Casino is no exception, owned by the parent company Imperial E-Club Limited, it specializes in straightforward gaming, supplemented by a generous gift service and almost never-ending stream of deposit bonuses. Security is an important issue for Titan Casino and they are keen to ensure that all of their member’s feel safe while playing and depositing on their site. To that end, they use GoDaddy.com Turbo SSL certificate encryption. The client software is crafted by none other than the award winning Playtech. 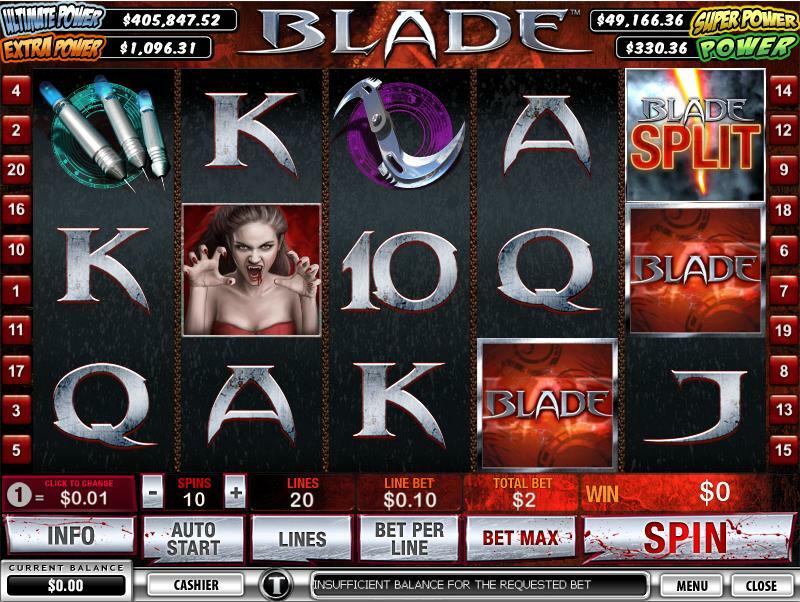 If you’ve played online casino games before, there’s a decent chance you come across a Playtech creation. Although many of Titan’s games have a unique flair to them, they have all been built from the ground up by Playtech’s team of experts. Unfortunately, U.S. residents won’t get a chance to experience any of this, as Titan do not allow American players to register an account. The Titan Casino lobby is an excellent piece of design. Getting to the games you want takes seconds, thanks to a simple unique layout. As soon as you fire up to the client, you are greeted with a choice between Play and Real money. Pick your preference and you’re left with a window containing 8 large boxes. Each of these boxes corresponds to a game type, for example ‘Card & Table Games’ or ‘Video Poker’. There are also a boxes for ‘Favorite Games‘ and ‘New Games’. Mousing over one of these squares brings up a list of all the available games for that type, sometimes leading to further, more refined, menus. Most of the games require an extra download to run, although the most popular titles come packed in with the client. It’s generally a short process to fetch the game and the table will pop up as soon as the download is complete. The games themselves are also well designed, although perhaps not quite on par with the stellar lobby. 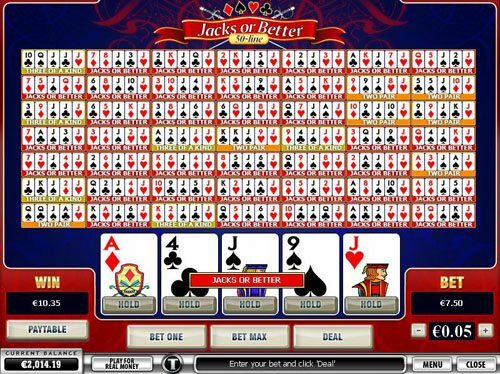 Card games give you a range of chip sizes, which you click on to lay a bet. 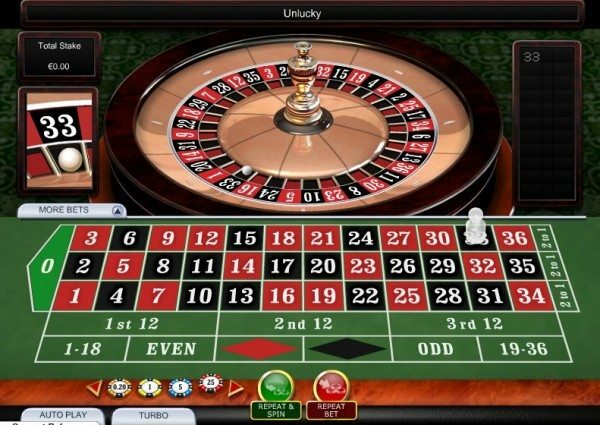 Roulette and similar games allow you click directly on the table to place your bets in the relevant area. Slot machines appear as you would expect, with the familiar Spin button taking pride of place in a row at the bottom of the window. All of the Titan Casino in-game windows contain a small menu where you can customize a few options, look at your betting History, or jump straight to the helpdesk. There are over 100 titles to choose from at Titan Casino, all of which have been tested for fairness by Technical Systems Testing North America Inc. Their reports are available via the Titan client, if you want to peruse their findings. 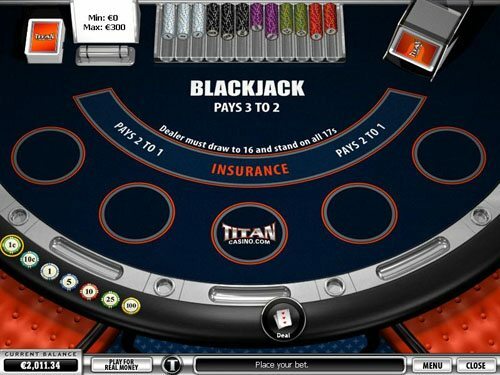 All the standard bases are handily covered at Titan Casino – with Roulette, Blackjack, Table, Card, and Slot games all enjoying numerous different iterations. The latest trend in online casinos is to provide Live games where players bet on action dealt out in a live casino. There are plenty of these video-feed games running regularly on Titan. Those in search of the largest of the large jackpots will be happy to know that there are no fewer than 17 progressive jackpots running concurrently at Titan. Given the sheer number of different deposit options at Titan Casino, you’re almost certain to find some way to get your money onto the site. Credit Cards are catered for, along with all the popular payment processors, and a few less popular ones. Most deposit methods have a pretty low threshold, requiring only a €20/$20/£20 injection. The full list of deposit options is as follows: VISA, MasterCard, Maestro, Diner’s Club, VISA Electron, Delta, PayPal, Skrill, dotpay, zimpler, sofort, E Card, Pay U, Instant Bank, abaqoo, eKonto, DineroMail, TrustPay,Transferencia Bancaria Local, fundsend, eps, MultiBanco, sporopay, SafetyPay, AstroPay, Instant Banking, Bank Transfer, iDebit, Qiwi Wallet, Easy EFT, Instant Wire Transfer, InstaDebit, NETeller, paysafecard, Entropay, giropay, Nordea, POLi, DK, Przelewy24, WebMoney, moneta.ru and ECO. Some of these options might not be available depending on your geographic region. Withdrawing your money is slightly more difficult, but still not too much of a chore. MasterCard is ritually uneasy about receiving withdrawals from gambling sites and Titan is one of the many casinos that do not provide the facility to withdraw money via a MasterCard or Diner’s Card. You can use PaperCheck, Bank Draft, and Bank Draft Express in some countries, but many nations are excluded from these services. You should also be aware that you are not permitted to use a withdrawal method until you have made a deposit with it, so it’s best to make your initial funding via one of the following methods: Visa, WebMoney, Click2Pay, Neteller, MyCitadel, ClickandBuy, Instadebit, or MoneyBookers. If you like bonuses, you’ve come to the right place. First and foremost, Titan is offering upwards of 30 deposit deals in one year. Almost all of the deposit deals on offer at Titan Casino are 100% matches. There are no bonus codes to memorize, your first deposit bonus will activate automatically. For most subsequent offers you’ll need to contact Titan support to get them up and running. You can’t just cut and run with the cash; before you can withdraw you have to wager 20 times your bonus plus deposit amount if your deposit was less than €200 and 25x otherwise. This means that to unlock the full €5,000 on a deposit of €10,000, you need to make (€10,000 + €5,000) * 25 = €375,000 worth of wagers. Clearly, you’ll have your work cut out for you if you choose this maximum bonus, so it might be prudent to limit yourself to a lesser amount. These bonuses are available in a number of other currencies, like U.S. dollars and Canadian dollars, but players who deposit in pounds sterling won’t qualify for any bonuses. Also be aware that deposits made through Neteller or Skrill aren’t eligible for bonuses. After you complete the playthrough total, you’ll be able to make a withdrawal. However, bonuses at Titan Casino are for playing purposes only and cannot be withdrawn. Your bonus funds will be deducted from your account at the time you request a cashout. Additionally, wagers on the following games will count only 1/3 of their value: Blackjack (excluding Blackjack Switch and Blackjack Surrender), Pai Gow Poker, Casino Hold’em, Tequila Poker, Live Casino Hold’em and Stravaganza. Bets placed on Red Dog only count for 20% of their size. With the first deposit bonus out of the way you might think there’d be some time to relax. Well you’d be wrong, there are 6 months worth of 100% up to £200 reload bonuses waiting for you. Every month during the promotional period, your first deposit will qualify for the bonus. Then, once the 6 months are up, you have 26 weeks to use 26 more 100% up to £100 deals. This time, your first deposit of the week will count towards the bonus. All of these clear once you roll your deposit and bonus balance over 25 times, but be sure to contact support after each deposit to ensure that the offer is activated. There’s plenty of support documentation on hand at Titan Casino, so your question is likely to be answered without contacting the helpdesk. A Getting Started guide, FAQ, and Troubleshooting page are all on hand to aid confused casino users. If you need to contact support then you can do so 24/7, either by phone, fax, or email. Only Canada and the UK have toll free phone numbers, but there 3 separate email addresses which can be used from any location.